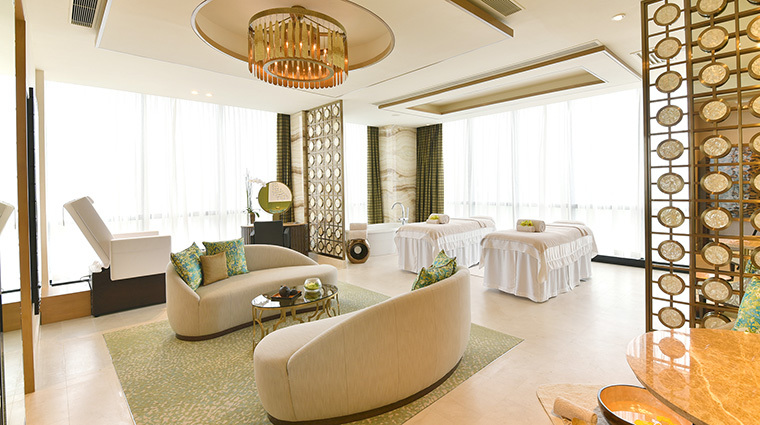 When the busyness of the city gets to be a little too much, head directly to Nüwa Spa Manila, located within Nüwa Manila at the luxury integrated resort City of Dreams Manila entertainment complex. Here you can rejuvenate, refresh your senses and relax your body with world-class services accentuated with warm Filipino hospitality. 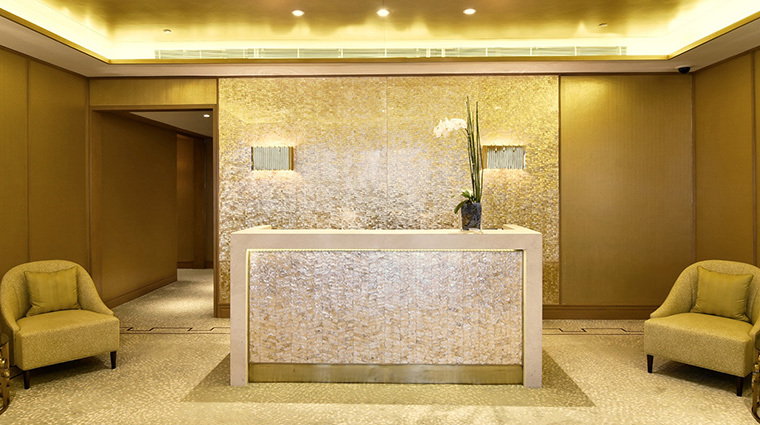 Inspired by the goddess who created mankind in ancient Chinese mythology, Nüwa Spa features natural remedies and fundamentals of Chinese medicine to draw you into a state of equilibrium during each treatment. Vitality pools, a well-equipped fitness center and serene surroundings complete the exquisite experience. The spa suites are ideal for those who want to max out their hours of relaxation, and/or for guests who want a fun activity with friends or romantic partners — one could easily while away the day in one of these large, beautiful and peaceful spaces. 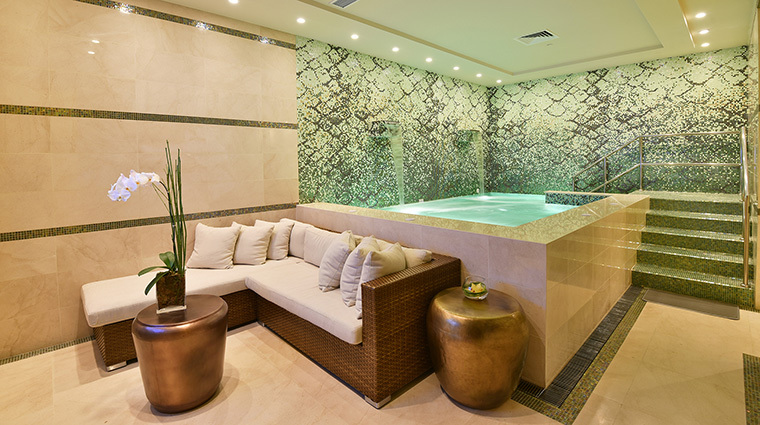 For the ultimate indulgence, opt to enjoy your experience in one of the signature spa suites. These sumptuous spaces include an en suite Jacuzzi, shower and bath facilities and a cozy relaxation area. An added bonus? You'll also enjoy a selection of light and healthy snacks. Squeeze in a sweat session at the spa's state-of-the-art gym. The fitness center offers free personal training sessions, health and wellness assessments and cool-down stretches to aid your workout. If you'd rather relax, simply snag a spot by the lovely outdoor pool to lounge away the day before or after your treatment. Splurge on a private cabana for extra VIP service and amenities. If you're short on time, opt for one of the Nüwa Spa Express treatments, 30-minute services that guarantee a quality experience in a fraction of the time. Selections include the Nüwa Foot Massage, Head and Shoulder Massage, and Om Facial Express. Nüwa Spa’s facial treatments begin with a detailed consultation and in-depth skin analysis to identify conditions not visible to the naked eye. Facials featuring Hungarian skincare brand, Omorovizca are specifically tailored to your skin type. We recommend that you arrive at least 45 minutes prior to your treatment to enjoy the relaxation lounge and aqua retreat areas. The best way to work out those knots is with the Nüwa Signature Massage. 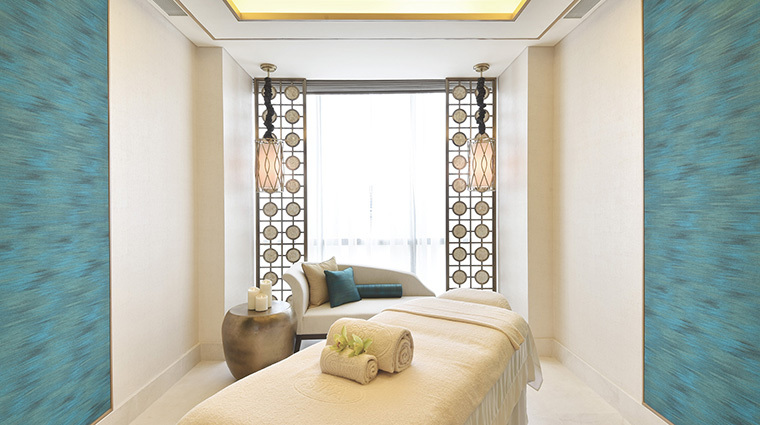 Using a blend of kneading techniques, this full-body rub-down will leave you feeling rejuvenated, especially after a long flight. 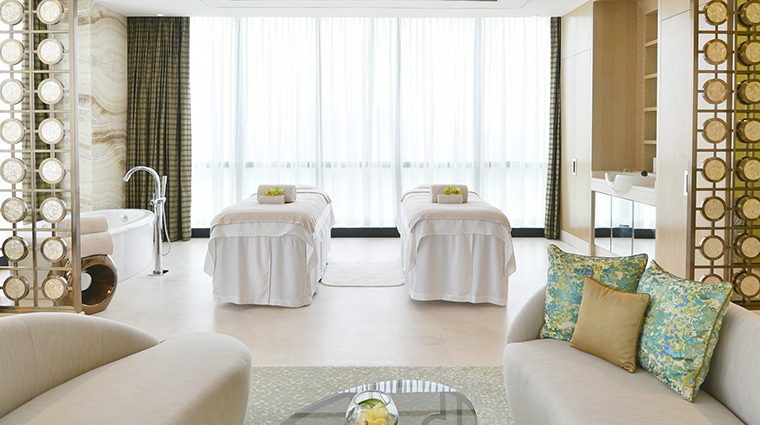 Get a taste of traditional healing practices with the Manila spa's Sense of Place treatments. The Heal-ot massage, for example, uses indigenous healing techniques, banana leaves and coconut oil to work out your kinks. Other Philippine-inspired spa therapies include Dagdagay — a foot massage from the century-old massage techniques of Sagada province — and Pinoy Bentosa — a treatment that calms the senses with the use of traditional cupping to relax, rejuvenate and restore. Nüwa Spa also offers a selection of traditional Asian therapies, including Japanese Shiatsu, Indian Shirodhara and Abhyanga warm oil massage. This haven of serenity features a heated vitality pool, an aromatic steam room, a sauna and a relaxation pool. 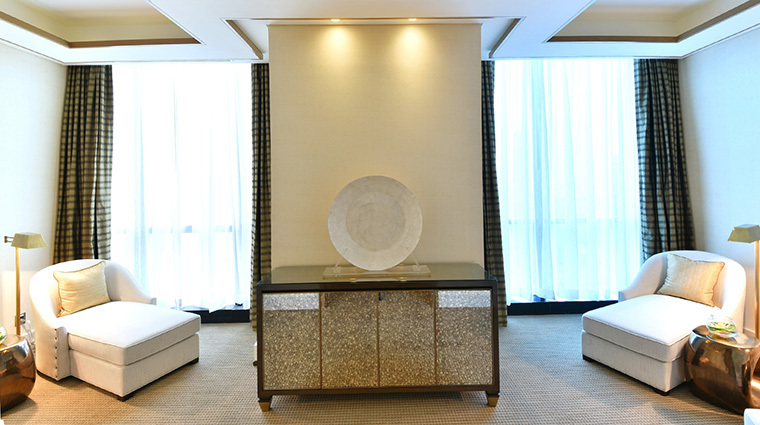 Six private treatment rooms ensure a tranquil environment for services that include therapeutic massages, body scrubs, body wraps and various facials. The two spacious spa suites are nothing less than impressive. They are equipped with private showers, massage tables, a salon chair with a foot tub (in case you want a private haircut and pedicure) and a large bath tub for soaking treatments. A state-of-the-art gym featuring floor-to-ceiling windows and views of the surrounding city and grounds ensure you can work up a sweat before or after your treatment.